Builder confidence in markets for new homes fell three points in February to a reading of 58. January's reading was revised upward to 61. Builders have repeatedly expressed concerns shortages of labor and lots for development, but continue to express confidence in future sales conditions. David Crowe, National Association of Home Builder's (NAHB) chief economist, said that builders are watching slowing economic trends, but also cited low mortgage rates, improving labor markets and pent-up demand for homes as factors for strong U.S. housing markets. The NAHB notes that any reading over 50 indicates that more builders were confident than those who were not. The three readings used to calculate the NAHB Housing Market Index (HMI) were also lower. The reading for current sales conditions fell by three points to 65; the reading for sales conditions over the next six months fell by one point to 65. Home builders were less confident in buyer traffic in new home developments; the February reading dropped by five points to 39. Although the buyer traffic gauge was its lowest in nine months, it hasn't topped the benchmark of 50 since the peak of the housing bubble ten years ago. Three month rolling averages for the four regions charted by NAHB also dropped. The Northeastern region was 2 points lower at 47; the Southern region also lost two points for a reading of 59. The Midwestern region lost one point for a reading of 57 and the Western region dropped three points for a reading of 72. Analysts responded to February's HMI with mixed views. Some analysts said that buyer demand for homes would override concerns over building costs. This view makes sense in view of pent-up demand driving up home prices. At some point, affordability and buyers ability to qualify for mortgage loans are likely slow the rate of increasing home prices. Less pent-up demand could also help first-time and moderate income buyers compete for homes as buyer demand eases. First-time and moderate income buyers are essential in driving home sales, as their purchases of pre-owned homes allow homeowners to buy larger homes or relocate. 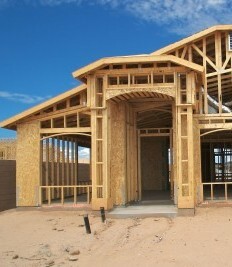 Reports on Housing Starts and Building Permits scheduled this week will shed additional light on home builder activity.